Or, how much plastic does it take to overwhelm a scientist? Is it impacting wildlife? Unequivocally. Am I overwhelmed and depressed with my job? Not at all. I am an optimist and I see the 'plastic pollution problem' as a tractable issue. I have a fantastic job. I work with a smart, interesting group of people and we have the privilege of getting to ask interesting questions about topics that resonate with people. Plastic production has a doubling time estimated at 11 years. This means that in the next 11 years we will make as much plastic as has been made since plastic production began. In our new paper that has just come out today, we wanted to take the next step. Instead of solely documenting how many pieces of plastic are in turtles (of different ages and species, found in different locations), we wanted to ask a trickier question. Generally, we aren't really sure whether the plastic eaten by turtles actually kills them, or whether they just happen to have plastic inside them when they die. So, we wanted to ask: how much is too much plastic for turtles? This is an important question. Just because there’s a lot of plastic in the ocean, we can’t presume that animals that eat plastic are dying from eating it. Even if a few animals do, it doesn’t mean that every animal that eats plastic is going to die. If we can estimate how much plastic it takes to kill a turtle, however, we can start to answer the question of exactly how turtle populations are affected by eating plastic debris. 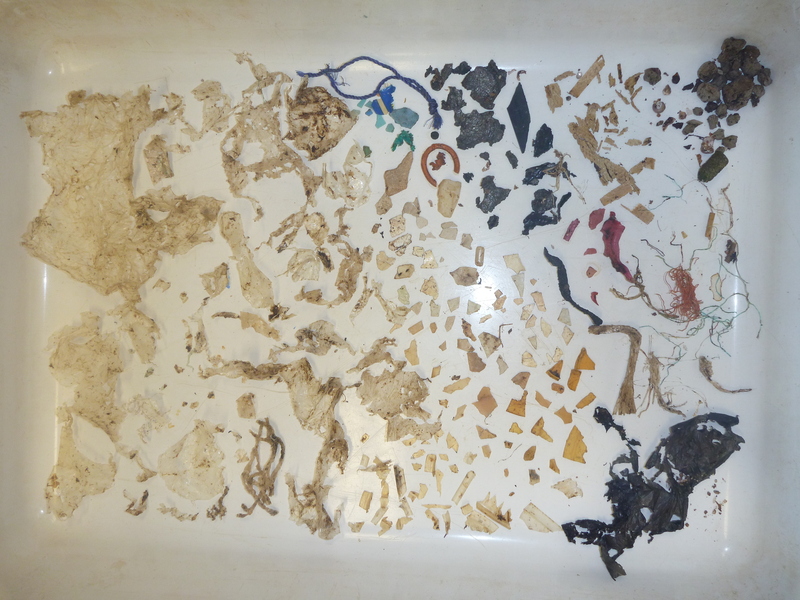 To answer this question, we looked at nearly 1000 turtles: a smaller dataset from our team in which (mostly) Kathy Townsend and Qamar Schuyler (with lots of volunteer helpers) looked inside more than 250 turtles to see what they'd eaten. The other turtles were reported to the Queensland Turtle Stranding Database. We carefully investigated why the turtles died, and for the ones we examined, we counted how many pieces of plastic they had eaten. We assigned the turtles to categories: those turtles that had plastic in them but definitely died from something else (like being hit by a boat or tangled in a net); animals that had eaten plastic but we don’t know how they died (which was most of the turtles); and those animals that we were certain died from eating plastic. 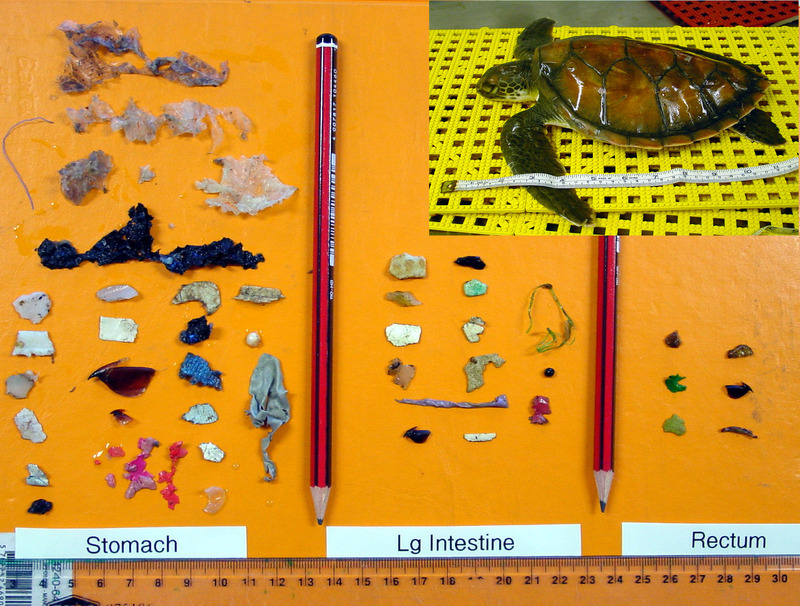 3) Turtles with more pieces of plastic in them also had a higher chance of death from eating plastic. Well, taking a statistical approach like we did allows us to make predictions about how many pieces of plastic eaten results in X chance of death due to plastic. This means we can start to make population level estimates about plastic impacts for global sea turtle populations. 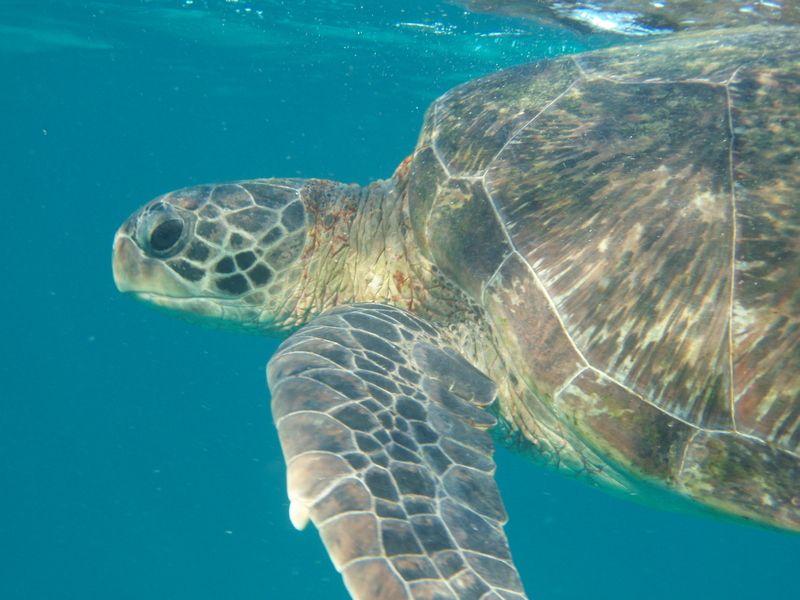 Given that six of the world’s seven sea turtle species are listed as threatened or endangered, it is worth understanding the threat plastic pollution poses to these ancient creatures. This is what was found in the digestive tract of this little green turtle. Contents included everything from plastic bags and hard bits of plastic to duct tape and balloons. A broadly trained ecologist, for the last decade or more my research has focused on plastic pollution. 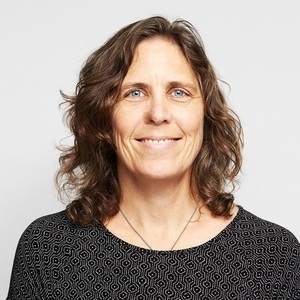 I take a risk-based approach to addressing the issue, focusing on four main components: sources and drivers (where does leakage into the environment happen, and, importantly, why); movement and distribution (how does waste move, where does it end up? ); impacts (on seabirds, turtles, marine mammals, people, economies); and policy responses (what policies are effective, what interventions are successful and cost effective).